Three residents had taken over an office on the campus. 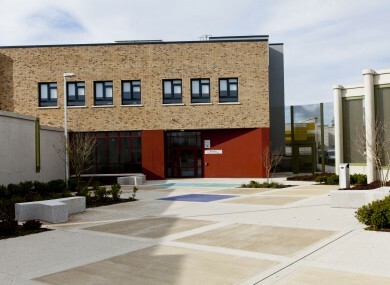 TWO YOUNG PEOPLE remain missing after absconding from Oberstown campus last night. Children’s Minister Katherine Zappone confirmed the news today speaking to reporters. She said that three residents of the campus had managed to take over a staff office last night. While negotiating with staff, the three managed to escape the building and the campus in north Dublin. It is believed that an angle grinder was used to cut a fence during the escape. The centre’s director was slightly injured in the escape, needing stitches, along with two other staff. The incident occurred around 9pm last night in Unit 9 of the campus. The three assaulted a staff member and took a swipe card from them. They then made their way to a maintenance lockup and stole a sledge hammer and an angle grinder. One of the children has since been caught and returned to Oberstown, but two remain missing. Zappone said the escape is “disappointing”, but said that major improvements have happened in Oberstown in the last year. A statement from Oberstown said there was a “serious incident” last night. The escape comes just a day after Oberstown launched a report into its first year as the sole youth detention facility in Ireland. Email “Two young people remain missing after absconding from Oberstown campus”. Feedback on “Two young people remain missing after absconding from Oberstown campus”.